CALGARY - Centre Freddie Hamilton is joining his brother in the Calgary Flames organization. The Flames acquired the 23-year-old Toronto native on Sunday from the Colorado Avalanche in exchange for a conditional seventh-round draft pick in 2016. He will report to Calgary's American Hockey League affiliate, the Stockton Heat. Hamilton was orignally drafted by the San Jose Sharks 129th overall in 2010 before being shipped to Colorado in March of 2015. Last season he played 57 games in the AHL split between the Worcester Sharks (San Jose affiliate) and Lake Erie Monsters (Colorado affiliate), and produced 11 goals and 34 points. 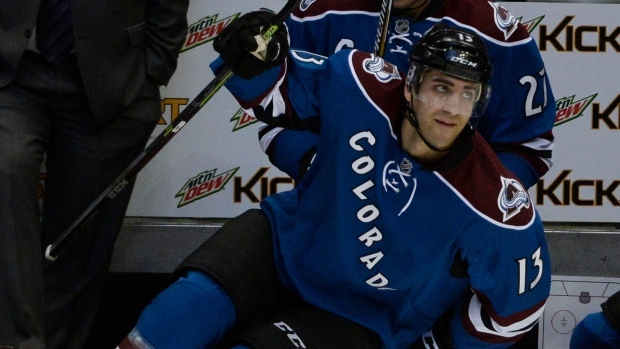 He also played 17 games for the Avalanche and scored once. Back in June Calgary acquired Hamilton's younger brother Dougie from the Bruins. The 22-year-old defenceman was a first-round pick of Boston in 2011. The duo spent three seasons together playing for the Niagara Ice Dogs of the Ontario Hockey Legaue prior to turning pro.